Learn 3 Simple Secrets that will Strengthen Your Relationship, YES! even if you’re the only one trying! - Restore the intimate connection and revitalise your loving bond! - Understand exactly why traditional Marriage Counseling doesn’t work! - If you are single or dating and are not finding the right matches, this will be useful too. Please call 0565342899 / email info@lifenone.com for bookings. 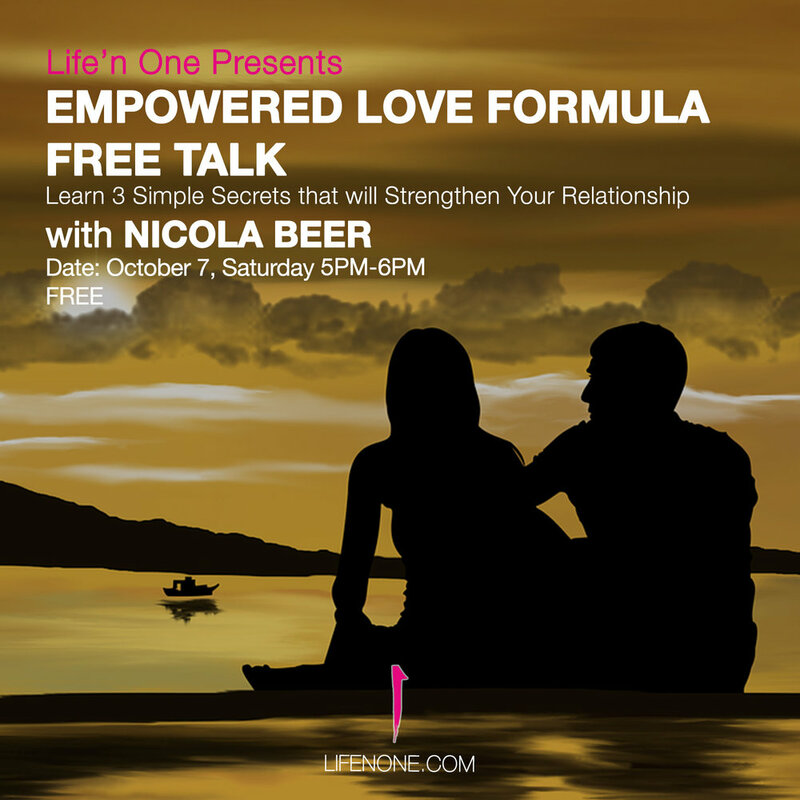 Nicola Beer is a Relationship & Connection Specialist and founder of the Empowered Love Formula. Best-selling author in 4 books and has been featured on ABC, CBS, NBC, Fox News Network, Huffington Post, Wall Street Select. Nicola has helped hundreds of couples to increase the love, happiness & passion in their marriage through her online and Dubai based programs As well as guided countless men and women on how to heal and create a new life after divorce for them and their children. Nicola grew up in a household full of tension, stress and a string-of affairs. There was little love, happiness and peace. Experiencing this pain, Nicola's passion has been to help others through difficult emotionally stressful times. Starting with a crisis helpline in the UK (Samaritans) for 3 years, then setting up her own practice in Dubai, where she has lived for 10 years. Nicola works with people from all over the world in private online 1-to-1 sessions, 5-star marriage retreats or via her online programs.